An article from Fast Company in 2015. We advocate building spaces for people rather than for cars. Building housing for people rather than building parking spaces. “…it begged the question that, perhaps, it’s time to re-examine parking requirement for new residential construction – that maybe blanket requirements are not the best options. 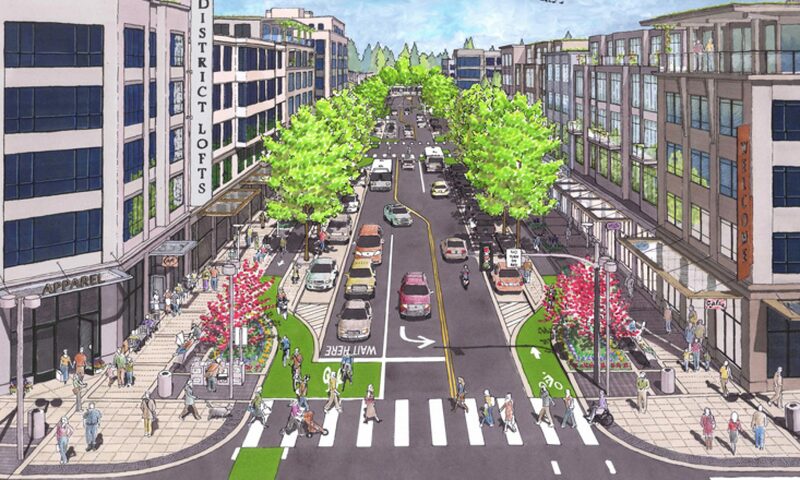 Think of city streets as places, not just a way to get through a city as fast as possible. City streets were designed for people–automobiles came much later, but now they dominate. Let’s change the focus back to people.